I have produced this scarf for Her Royal Highness Crown Princes Victoria of Sweden in connection with the Danish Crown Prince Couple and my participation in a Danish Business Promotion in Stockholm in May 2017. The water and the colours by the sea have inspired me for this design. The scarf is extra-large, drapes beautifully and can be used as scarf and shawl. Maintenance: Silk wash at 30 deg. Iron at ample heat, setting “Silk”. The textile pieces are also produced as a postcard. The scarf is produced in Denmark and sewn on Fanoe. Dimensions: 110 cm x 110 cm. 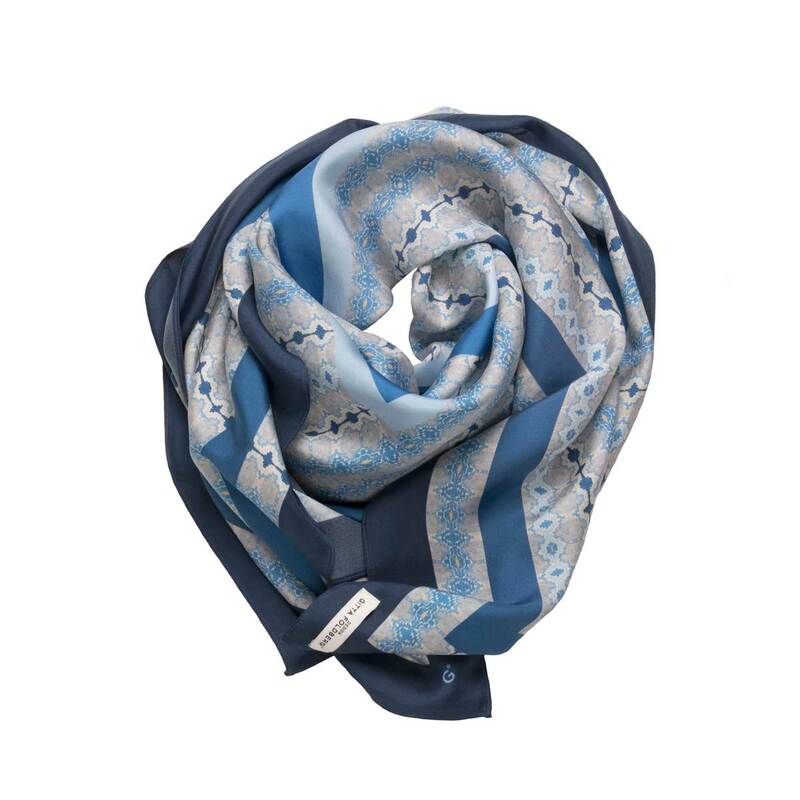 Comes packed with a large postcard of the scarf designed by Gitta Foldberg and produced in Denmark.